This warm jacket is perfect for colder days in the stable. 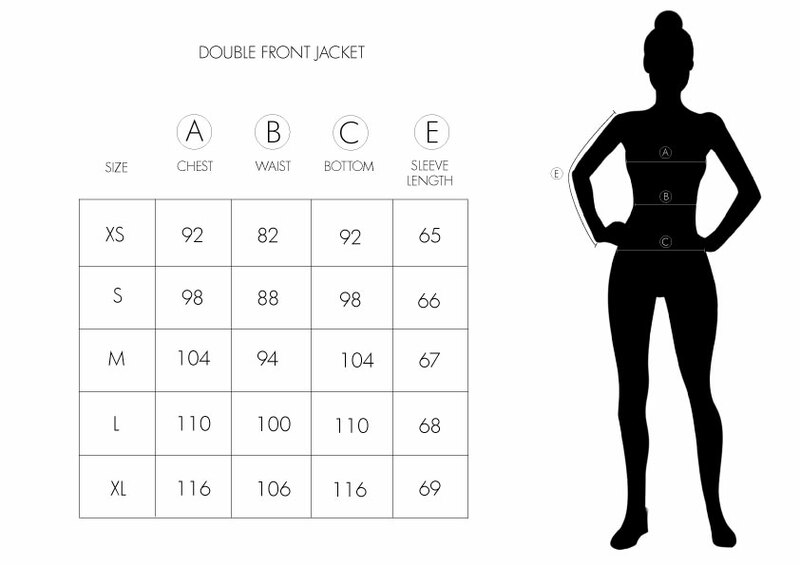 The jacket has double front zipper, which gives the illusion of having a vest underneath the jacket. 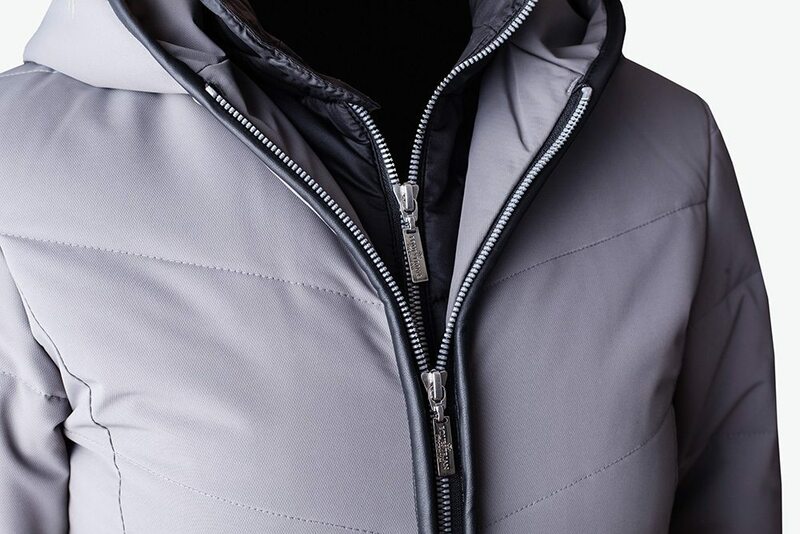 The zipper of the inner vest can be pulled up all the way to keep your neck warm all day. 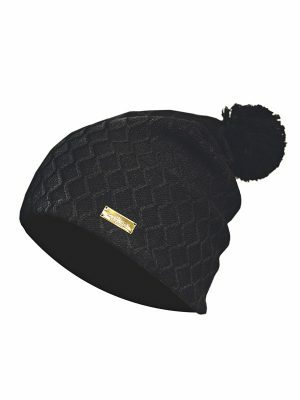 The jacket has details in PU-leather and a big and comfortable cap. Wristlets by the edge of the arms, metal badge on the left arm and embroidery in light grey with Equestrian Stockholm’s horse shoe-logo on the lower edge of the right side. 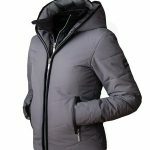 The outer material is durable and the jacket has a gorgeous, darker – mystical grey color. This winter’s favorite jacket is here! 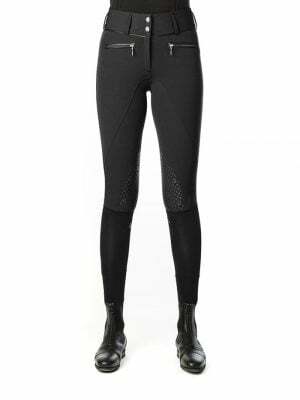 Zippers in silver from YKK and pullers with Equestrian Stockholm’s logo. 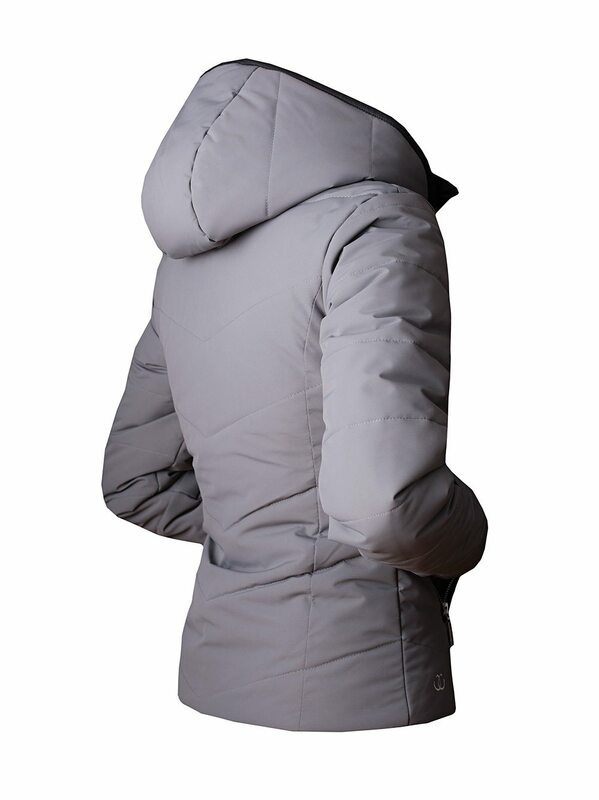 The materials in this jacket matches Equestrian Stockholm’s profile on going towards having all garments to be ECO-friendly. ECO-friendly, in terms of making as small impact of the environment as possible. 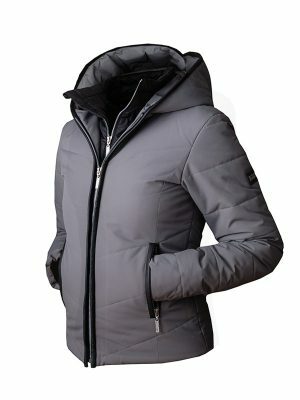 As in all Equestrian Stockholm’s garments, there is no fur, down or feathers used in this jacket – to protect the animals. Instead of using down and feathers as insulation, we have chosen to use a top quality ECO-friendly filling. 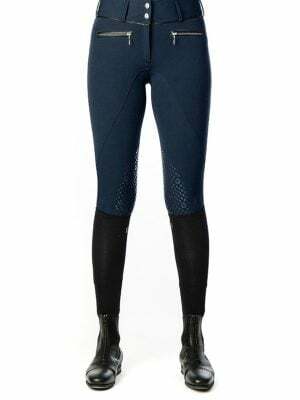 The filling does not only have fantastic warming effect – it is also wind resistant, water resistant, it is breathable and it has odor control. The odor control keeps your jacket fresh longer and you do not need to wash your jacket unnecessarily much only due to bad smell. 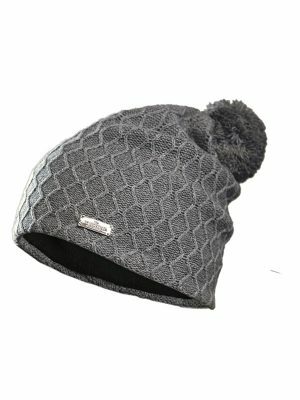 This saves on both our environment as well as the jacket’s wear.